Sodium, because of its pervasiveness and reactivity with other materials, is often a concern in industrial processes. The production of demineralized water is a common application for sodium analysis, as well as monitoring of boiler feedwater, steam condensate, and many other process water streams. I have included a data sheet for the Orion™ Model 2111XP Sodium Analyzer which provides illustrations, options, specifications, and a general overview of the benefits that come with the unit. More information is available from product specialists to provide solid solutions to your sodium analysis and other water quality monitoring challenges. 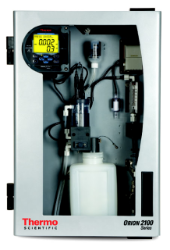 Sodium Analyzer for Industrial Applications from Classic Controls, Inc.